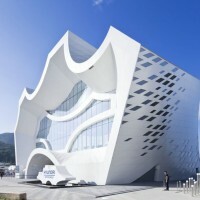 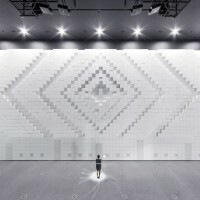 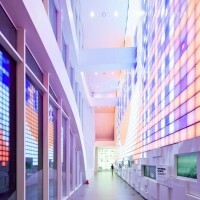 Unsangdong Architects designed the pavilion for the Hyundai Motor Group as part of the 2012 Expo in Yeosu, South Korea. 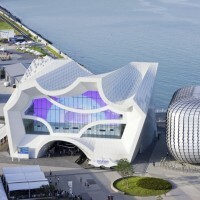 Through Yeosu EXPO Hyundai Motor Group Pavilion, Architectural work is suggested to convert the corporate brand image, which is creating the innovation of transportation in human history. 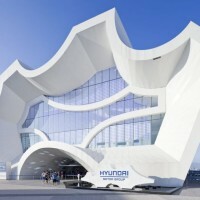 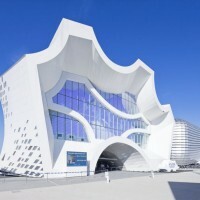 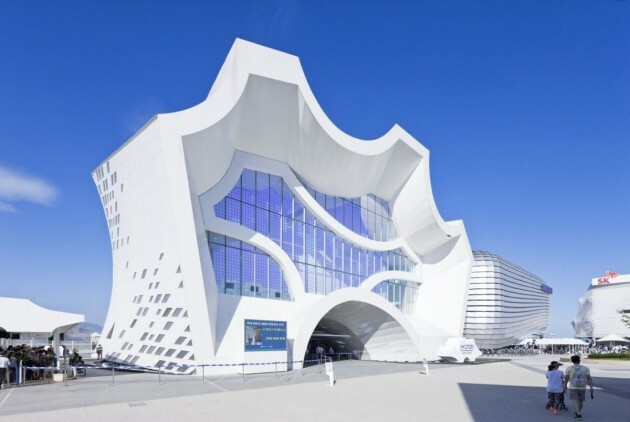 This architecture is combined with imagination of new future waves and the motion of Hyundai Motors Group. 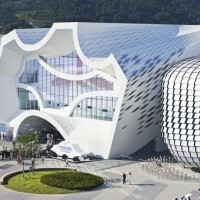 It is also reproduced though the concept of ‘Motion Imagination’. 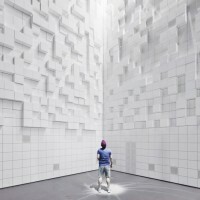 This is reproducing possibility of amplifying the futuristic imagination which is never achieved until now. 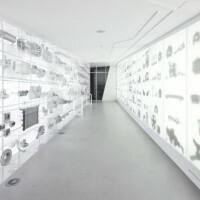 The possibility of high-tech and spirit of Hyundai Motor Group is expressed by reproducing the power. 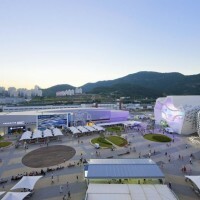 It actualizes the imagination and infinite possibilities of nature and urban. 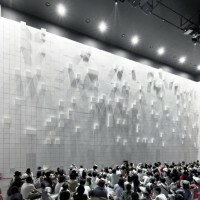 The architectural issue of ‘motion’ is proposed through the new formation of dynamic section. 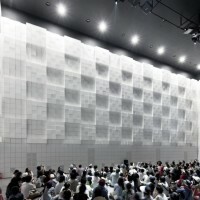 The section of various waves, which signifies three dimensional “Blue Ocean Wave” movements which is overlapped and connected. 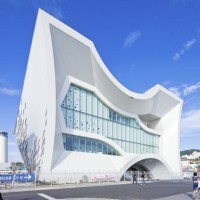 This also connects with the architectural expression of constantly changing corporate brand image.